The Zulfiqar I MBT, developed with indigenous parts, was revealed to the public in 1994. The Zulfiqar tank features an automatic loader and has composite armour protection. The latest Zulfiqar tank variant, Zulfiqar 3. Zulfiqar or Zolfaqar, the main battle tank (MBT) of Iran, entered into production in 1996. The tank is operated by a crew of three personnel – commander, driver and gunner. It is named after the sword of the first religious, spiritual and political Shia leader, Hazrat Ali. 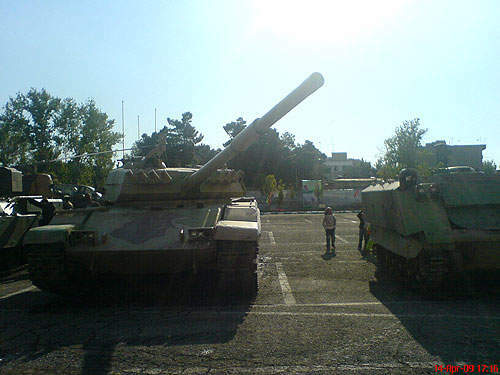 The tank’s variants Zulfiqar I and Zulfiqar II are operational with the Iranian Army. 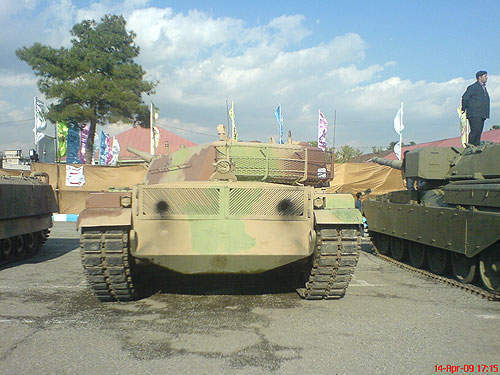 In May 2010, the Iranian Army announced its new and upgraded variant Zulfiqar III. 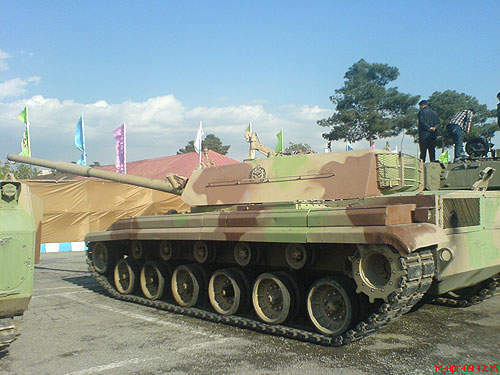 The Iranian Army Brigadier General Mir-Younes Masoumzadeh conceived the development of the Zulfiqar MBT. The tank is believed to have been developed on the basis of M48, M60 and T-72 tanks. The first prototype of the Zulfiqar I MBT, with indigenous parts, was designed in 1993 and revealed to public in 1994. In 1997, six prototypes were developed, tested and fielded. In the same year, Iranian President Hashemi Rafsanjani authorised mass production of the tanks in the Shahid Kolah Dooz Industrial Complex. About 600 artillery and 520 different tank parts were manufactured, and 500 armoured vehicles and tanks were repaired for Zulfiqar production. "Upgrades to the Zulfiqar III will include improving the fire navigation system, chassis, armament, engine and laser systems." The turret of the Zulfiqar tank is designed domestically as a box with distinctive shape, and incorporates some parts and systems of the M60 and T-72 MBTs. Both the turret and hull are welded in steel. The tank has a combat weight of about 36t and features automatic loader and composite armour protection. Zulfiqar I is built with reinforced composite armour in the front arc. It incorporates a computerised fire control system allowing fully-stabilised firing. The turret mounts a laser-warning pod on the turret and protection of the tank can be increased with an indigenous reactive armour package. Zulfiqar II is an improved version of Zulfiqar I. It incorporates a new and more powerful engine and an extended chassis for improving the autoloader. Zulfiqar II is used as a test bed and interim prototype for the next variant, Zulfiqar III. Zolfaqar III is the latest and most advanced version in the Zulfiqar family, and the ground forces of the Iran Army are conducting studies with the view to further upgrading its applications and technology. Upgrades will include improving the fire navigation system, chassis, and armament, engine and laser system, to increase the operational capabilities of the tank. The wheels of the variant will be covered by an armoured skirt and a reinforced turret. The tank is powered by a 780hp (630kW) Vee diesel engine with 12 cylinders. The power to weight ratio of the tank is 21.7hp/t. The engine is coupled to six-gear SPAT 1,200 automatic transmission, which provides the tank a maximum speed of 70km/h (43mph). Zulfiqar III has a torsion-bar suspension system similar to that of the M48 and M60 main battle tanks. Its operational range is 450km. The Zulfiqar I tank is armed with a 125mm smoothbore gun adopted from a Russian T-72 tank. The variant is equipped with the Slovenian EFCS-3 fire control system of Safir-74 or Type 72Z. "Zulfiqar III has a powerful 2A46 125mm smoothbore gun with the cannon fitted with fume extractor." The system provides the tank with fire-on-the-move technology. The turret of the tank variant also mounts a laser-warning pod. Zulfiqar III has a powerful 2A46 125mm smoothbore gun with the cannon fitted with fume extractor. The advanced gun is fed from an autoloader. The secondary armament mounted on the Zulfiqar includes a 7.62mm coaxial machine gun and a 12.7mm machine gun. The Iranian Ammunition and Metallurgy Industries Group (AMIG) of Defence Industries Organisation (DIO), a subsidiary of Ministry of Defence and Support of Armed Forces of the Islamic Republic of Iran, produces standard ammunition for Zulfiqar fleet. The Zulfiqar III also has new fire control and laser range-finding system.